ICELAND. Lake Mývatn. 2007. Aerials of Lake Myvatn. 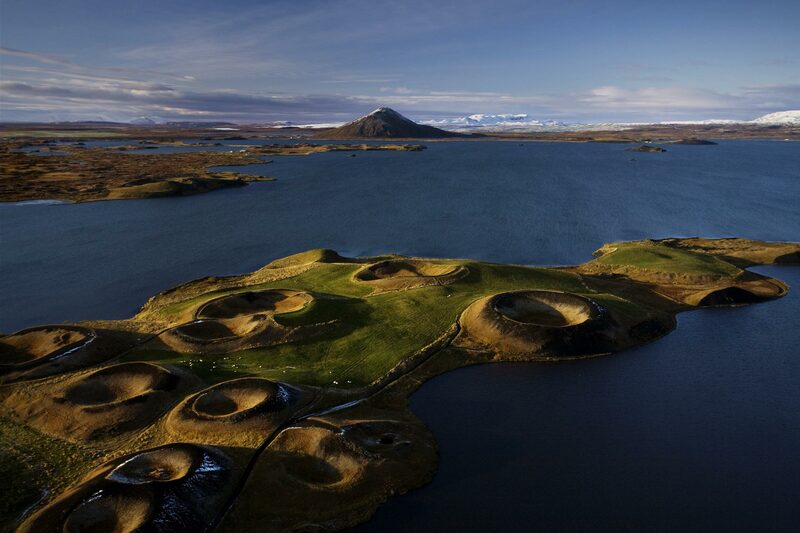 Skútustaðagígar, on the south shore of Lake Mývatn, are pseudo craters formed in a steam explosion when molten lava rushed over wetlands.